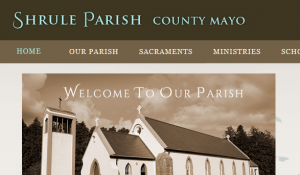 The Shrule Community Newsletter will now appear on the Shrule / Glencorrib parish website . Hello, I think I may be related to one of the Irish Immigrants in the post advertisements. This one was in 1862. They were looking for Martin Feeney, son of Anthony Feeney. I believe my 2nd Great Grandfather is the son of Martin Feeney. My 2nd great grandfather, Charles Feeney was born in 1853 in Massachusetts. I found a marriage certificate of a Martin Feeney (whose father is listed as Anthony) to Margaret Riley (father was Charles), Oct. 6, 1851 in Pittsfield, Massachusetts. I do not know what happened to Martin, but I could follow his son and wife to Pennsylvania. I would love to find my family in Ireland if possible. I live in McLean, Virginia now.